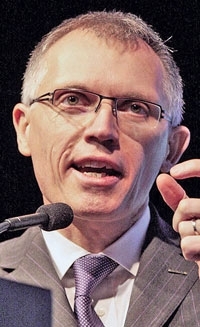 Renault's Carlos Tavares is among speakers. The European auto industry has been rocked by overcapacity, high debt and lagging sales. What does this mean for the future of the car business? Speakers at the 15th annual Automotive News Europe Congress June 20-21 in Monte Carlo will explore the industry's toughest issues and provide some solutions. The theme of this year's congress is "Building Resiliency in Turbulent Times -- Managing the Unexpected in an Age of Complexity." Among the scheduled speakers are Renault COO Carlos Tavares, Opel/Vauxhall CEO Karl-Friedrich Stracke, Porsche sales and marketing boss Bernhard Maier and Autoliv CEO Jan Carlson.